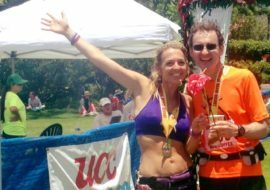 In 2012-13, Julie—a/k/a, the Marathon Goddess—ran 52 marathons in 52 weeks. Along the way she was featured in a major documentary film, Spirit of the Marathon II, appeared on national television and attracted a passionate social media following, as she logged the miles of each of her 52 marathons in honor of individuals lost to or fighting pancreatic cancer, ultimately raising over a half million dollars for the cause. It’s a story of resilience, perseverance, endurance—and romance: Julie’s turbulent early life; the rekindling of a father’s love extinguished too soon; her epic year travelling to far-flung races and places; not to mention her relationship with coach David Levine. After a rocky road, their underlying love emerged, culminating with a finish line marriage proposal. 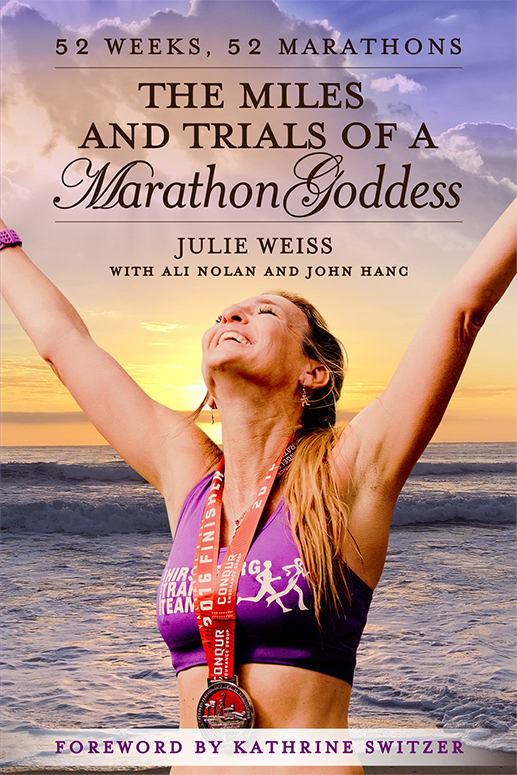 It all adds up to make “The Miles and Trials of a Marathon Goddess” a riveting, humorous, poignant and ultimately uplifting book, for runners and non-runners alike. The Marathon Goddess latest mission. Join Julie on the road to make a difference. 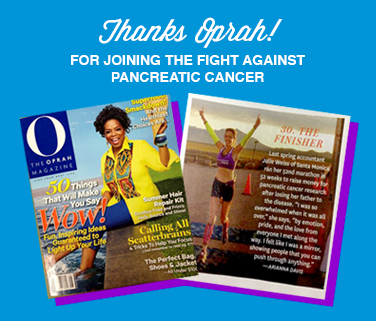 get inspired, and help find a cure for pancreatic cancer. Learn more about Julie’s book tour. 52 Races for 52 Faces. and how you can get involved. Sign up here to say up to date on all the latest Marathon Goddess News. 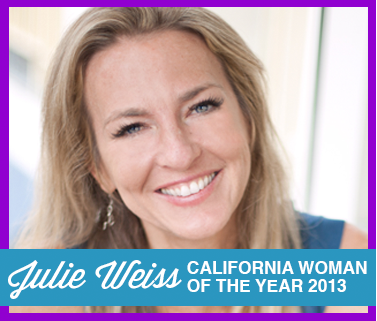 Be Motivated and Inspired, Book Julie Today! 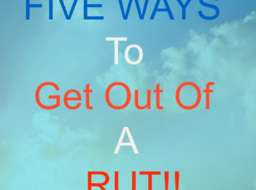 5 Tips on how to get out of a running rut! 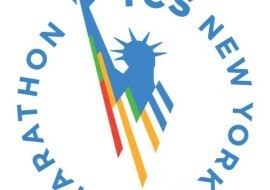 Flashback: The 2012 New York Marathon, The Marathon that Never Was!